A & J offers unparalleled design, installation and maintenance for residential and commercial properties. 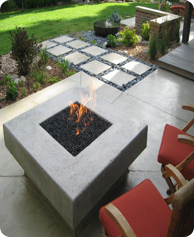 We have provided residential and commercial landscape services in Denver, Cherry Hills, Parker and Castle rock. Whether you're interested in extensive design and installation, garden maintenance, or treating only one area of your garden; our experienced and highly-trained staff will help create the beautiful and functional setting you envision. If you are currently working with a landscape architect, or if you are a landscape architect with a client in need of a contractor, A & J is prepared to help you throughout the contracting process. Contact us today and browse our website to learn more about how A & J give you the look you want!